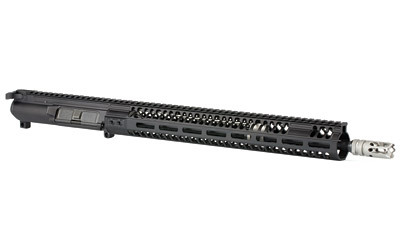 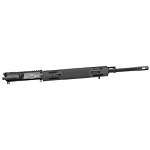 The Gen 2 Balios-lite 16" 5.56mm complete upper receiver offers the end user an assembled system that is ready for lightweight needs. 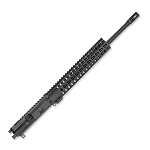 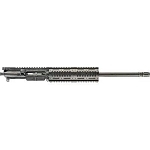 Each assembled upper starts with a Balios-lite stripped upper receiver. 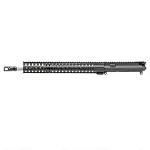 We then add our titanium gas block on the appropriate length barrel, and finish the assembly with our Gen 2 Balios-lite rail, titanium barrel nut, and our titanium T3 compensator. 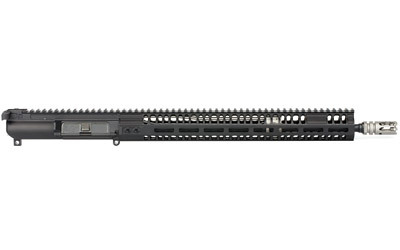 Our proprietary rail attach system does not need timing, provides for an extremely solid lock up and tight joint to the upper receiver, and has recessed fasteners for smooth, clean feel. 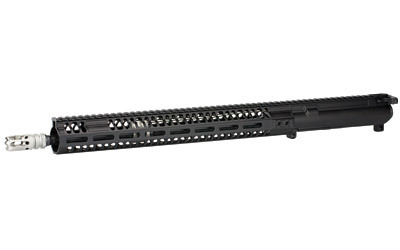 These uppers are perfect for those who are looking to do an SBR, Pistol, or suppressed 5.56mm build. 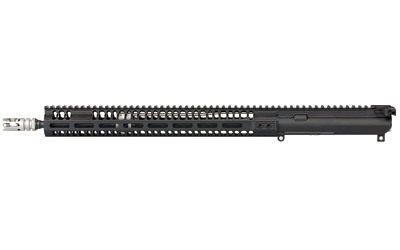 Our full mass carrier is included as well as a BCM-Mod4 charging handle.